Plastic Surgery in India - Another Happy IndiCure Client! Do looks matter? Of course they do. So much so that a person’s self esteem can be greatly altered by changes in his/her appearance. This is what happened with one of our many satisfied clients. In order to protect her privacy, we do not reveal her procedures, medical history or any other personal details. As you can watch in the video, she is truly happy about her transformed looks. When was the last time you felt this happy? All of us, secretly or otherwise, wish for miracles. We might have grown out of our childhood bodies, but there’s still a part of us that wish for miracles. Remember the fairy who transformed poor Cindrella into a princess overnight! Wonder how it would feel to change like that, to witness miracle in one’s life! This must be how she felt when she compared her own photographs taken before and after the cosmetic surgery. 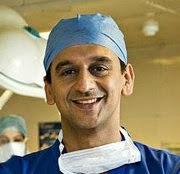 Well, here it had been Dr Jaganathan, a very renowned plastic surgeon in India, who replaced the fairy! Motherhood is often termed as the most rewarding phase in a woman’s life. A woman anticipates welcoming of a new life into her life with great enthusiasm and hope. Poems have been written, songs sung, films have been made – glorifying motherhood. There is hardly anything in the world that can match the joy that motherhood brings. But motherhood brings with it, of many pleasures and joys, significant changes in a woman’s body and mind. In spite of being aware of the not so good stories that many women share of their post pregnancy dilemmas, we just don’t think that would happen to us. We presume that they who blame their loss of body figures on their pregnancies must have not worked out enough or have got into unhealthy food habits. After all, if the celebrity moms can get back into their figures in no time, so can we! As we age, we tend to lose volume especially from mid-face and cheek areas. The face looks gaunt due to loss of bone density, collagen and fat. Some of the tell tale signs of aging are – sagging skin, appearance of jowls and folds and loss of roundness of face. To reverse the signs of aging and volumize one’s face, fat transfer to face in India is an effective option. The technique uses body’s own fat harvested from different body areas where it is unwanted such as abdomen, thighs and transferred to face. The technique helps restore youthful skin and rejuvenates face by taking years off from your face. Face fat transferin India is also used as an alternative to fillers and chin implants. The implants although considered safe, have their downsides. The fat transfer procedure has thus gained much popularity in western countries like USA, UK, Canada, Australia, New Zealand and many other European countries, owing to its many advantages. Motherhood is the most mesmerizing experience in a woman’s life but it also brings with it some unwanted changes in her body such as weight gain, stretching and loosening of muscles in various regions, stretch marks and excessive fat deposition on body areas such as tummy, buttocks, thighs and arms. In spite of working out for several hours in gym and following various diet regimes, there are several areas in the body where extra fat just doesn’t budge. That’s the time when plastic surgery plays an important role in helping a woman get back her pre pregnancy looks. What diet plan should I follow after Gastric Bypass surgery?